Growing up I did not live near my one set of grandparents and every Christmas a package would come our way. In the package there was usually chocolates and chex mix. Once I was older I learned it was my grandpa who made the candy. 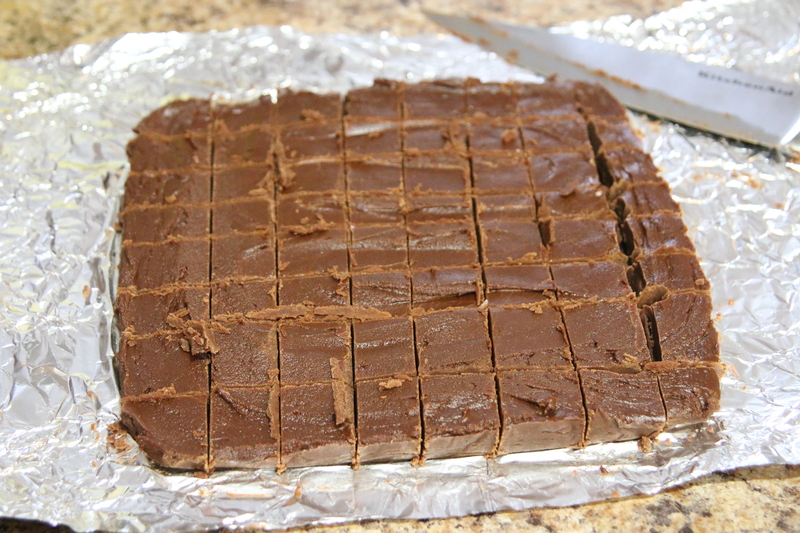 This is my grandpa’s cocoa can fudge. 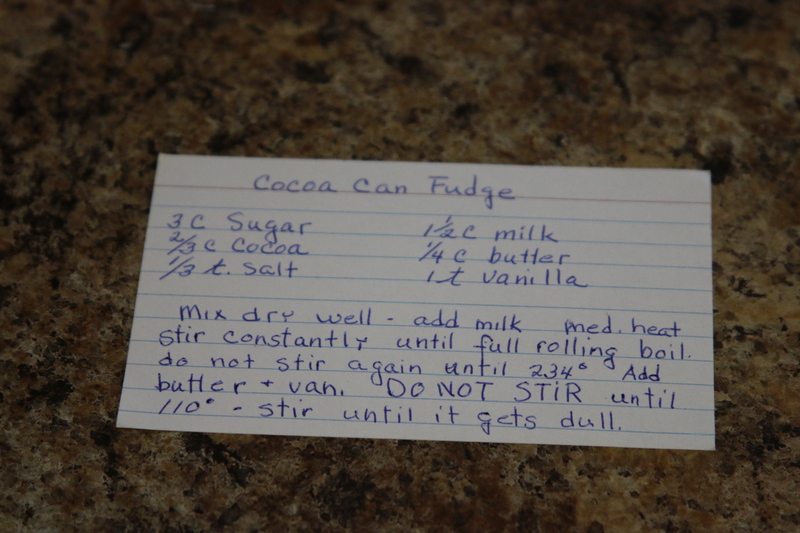 Truth be told years ago on the side of the Hershey’s cocoa can there was a fudge recipe and that is where this recipe get’s it’s name, Cocoa Can Fudge. 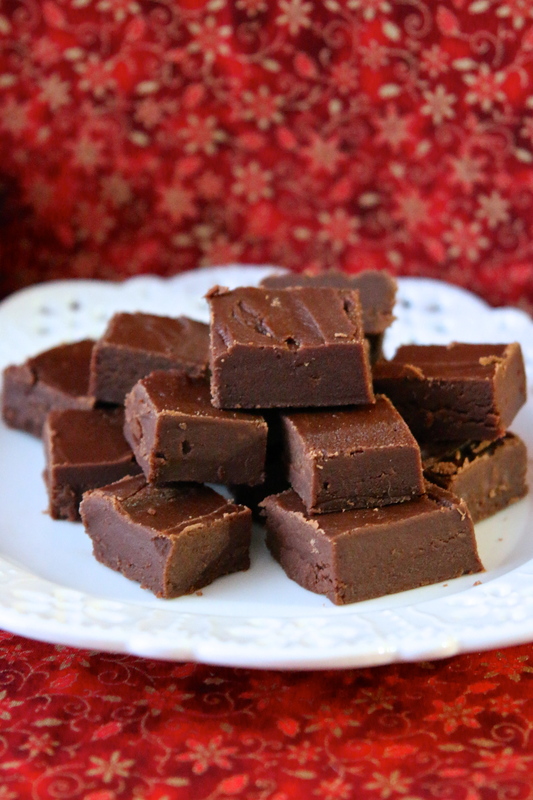 It is just as easy and taste better than easy fudge or magic fudge that is made with marshmallow cream. I definitely recommend trying it out! 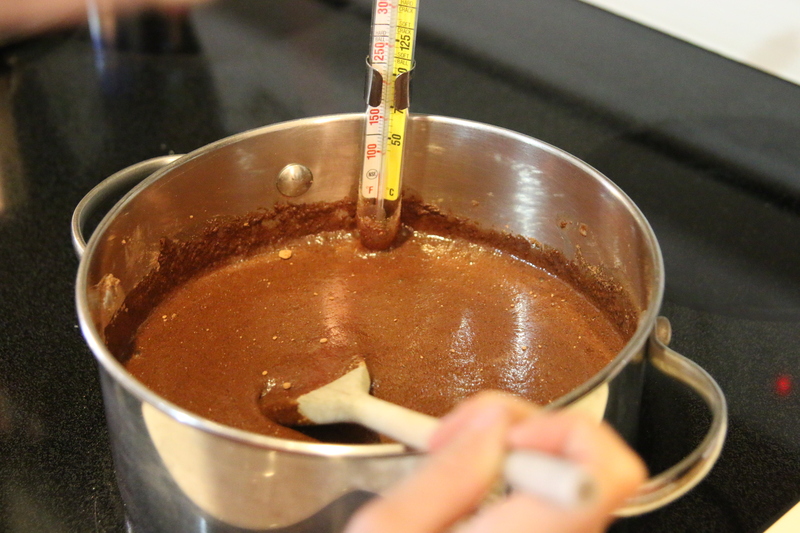 This is a candy recipe where you will need your candy thermometer. 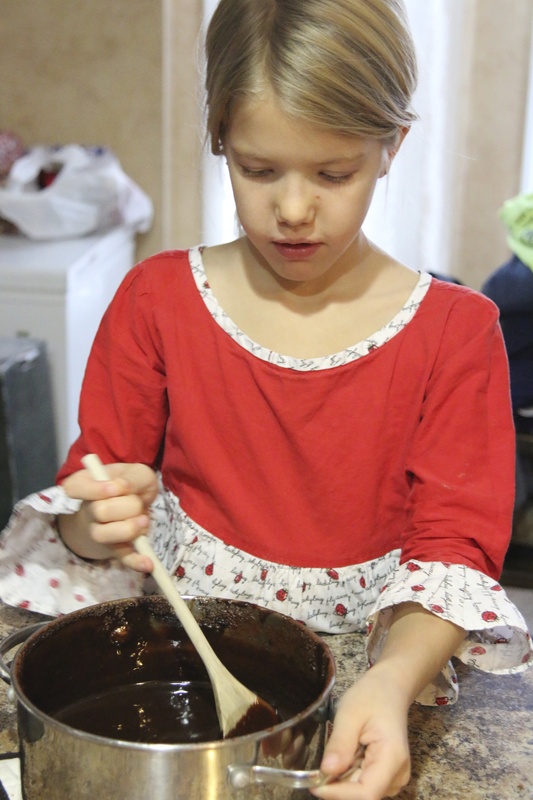 but it is easy enough that my 7 year old daughter did most of the hard work. I was in charge of making sure the temp was just right. 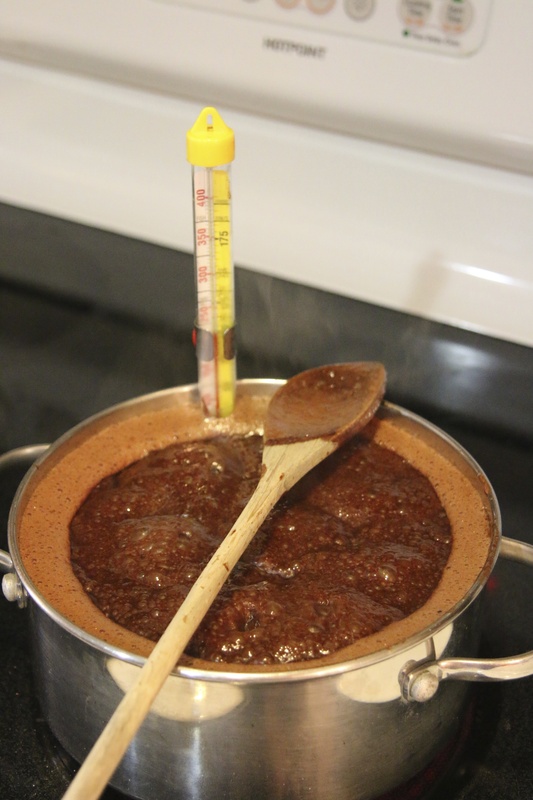 Once your temp is right you add the butter and vanilla and remove from the heat and allow to cool to 110*. This may take a couple hours. DO NOT STIR. 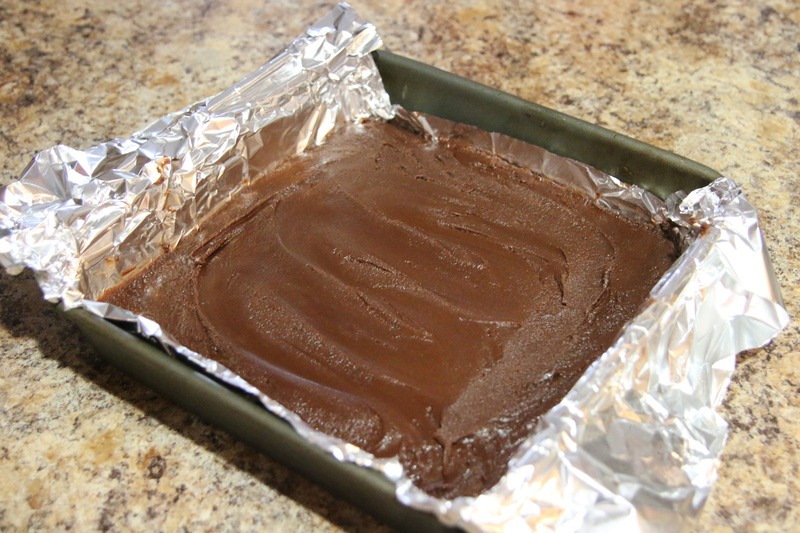 Once you achieve this pour into a foil lined square pan and allow to cool. Once cool cut into small bite size squares. Then all that is left is to enjoy for yourself or package up and give to friends and family. 3. Remove from heat. Add butter and vanilla. DO NOT STIR. 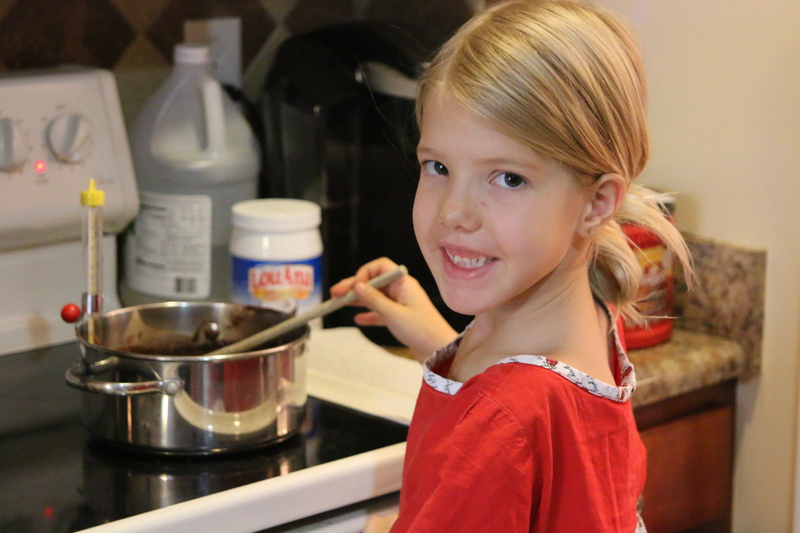 Cool at room temperature to 110°F (lukewarm). 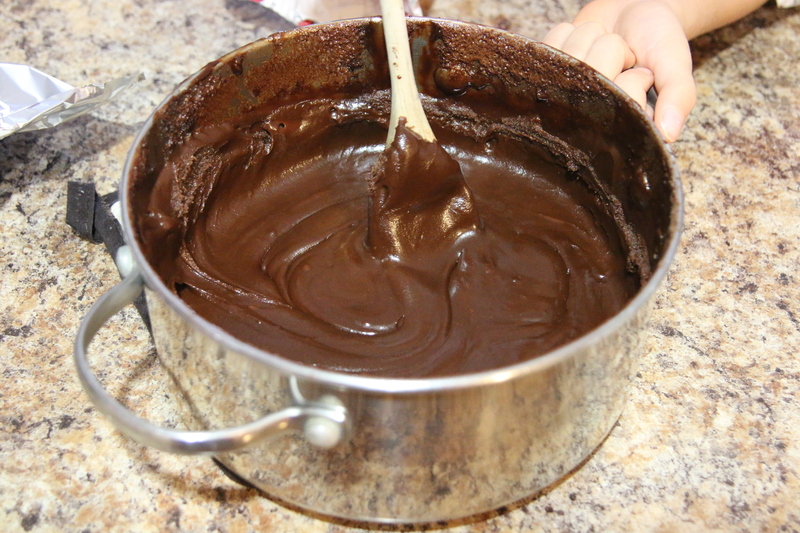 Beat with wooden spoon until fudge thickens and just begins to lose some of its gloss. Quickly spread in prepared pan; cool completely. Cut into squares. Store in tightly covered container at room temperature. About 36 pieces or 1-3/4 pounds.